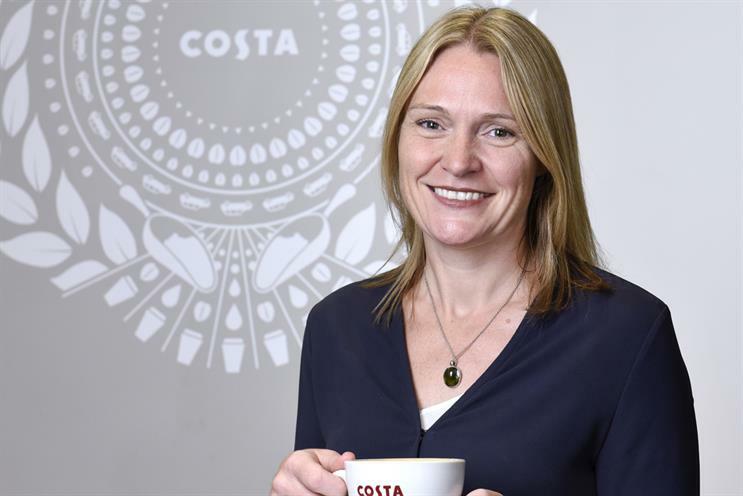 Costa has appointed former senior Cadbury marketer Sarah Barron as chief marketing officer, with immediate effect. Barron has worked with Costa on a consultancy basis for the last two years, having originally joined to spearhead the launch of the brand and develop business strategies in Asia-Pacific markets. She has also been involved in the development of a new global purpose and brand relaunch. Before moving into consultancy in 2011, Barron spent 11 years at Cadbury, becoming marketing director for Southern Europe, global innovation director for chocolate, and following the company’s acquisition by Kraft, managing director of the Green & Black's brand. In the role she will be responsible for global marketing and brand strategy, leading the development of global innovation, the digital customer experience, and new store formats and design. She will report to Costa’s managing director, Dominic Paul. Barron replaces Carol Welch who, as revealed by Campaign, is to leave the company after three years. Welch has not announced her plans, but has said she is staying in the industry. Barron said: "I believe there are many opportunities to further build customer love for Costa through new experiences in our stores, and through our Costa Express [coffee machine] proposition, in the UK and internationally. I’m looking forward to driving this challenging and exciting agenda. "My experience of working with Costa in South East Asia has shown me that there is significant opportunity for growth in the category globally, and that we can build on this through modern store propositions, product and digital innovation and brand building communication."